Hi there, my darlings! With the holidays right around the corner, I think the overriding theme of the next few weeks' blog posts will be the holidays! The Holidays for me, at least, mean lots of sleep, time to catch up with friends and...use a bunch of products I don't normally have the time or energy to use during the work week. That's right--it's time to bust out all the makeup I hoard over the course of the year! This morning, I'd like to share a selection of products from indie cosmetic brand, Fusion of Color Cosmetics. 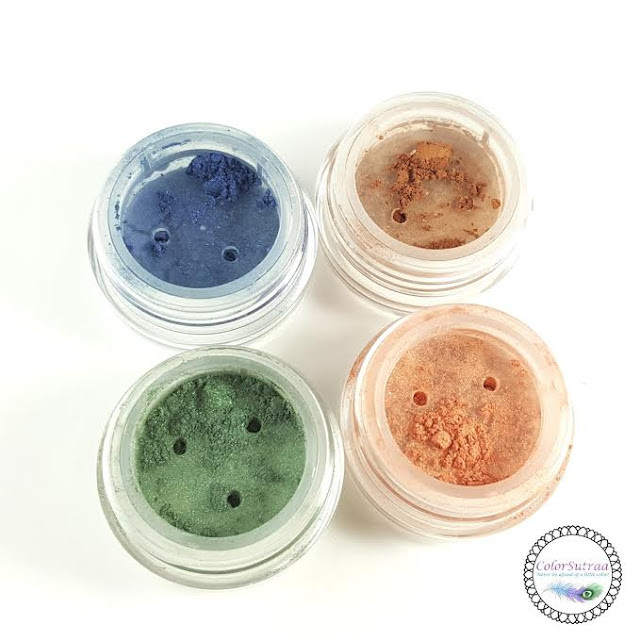 Fusion of Color Cosmetics are created from real minerals taken directly from the earth. These minerals are then processed into a fine powder and mixed with natural inorganic colors to produce a wide variety of colors. It does not matter what skin tone you have, from very light porcelain to a dark undertone and every shade in between, there is a mineral cosmetic that can perfectly match your skin.Minerals offer very good and buildable coverage that doesn't feel like you're wearing any makeup at all. 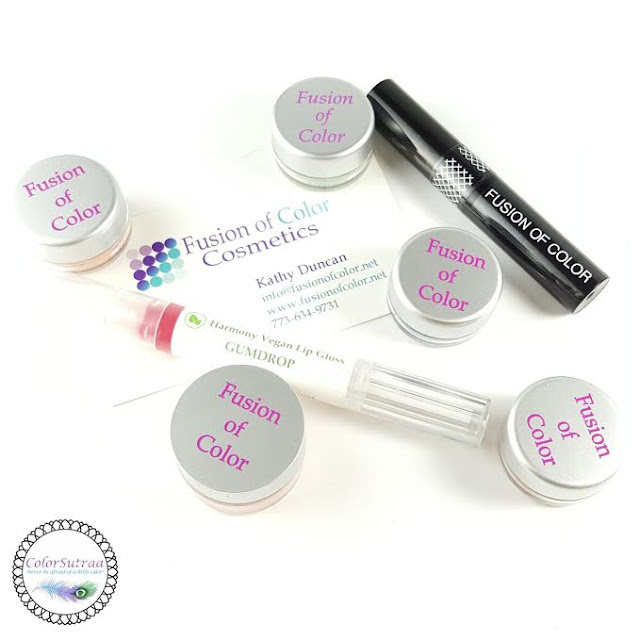 Fusion of Color Cosmetics has been in the beauty industry since 2003. 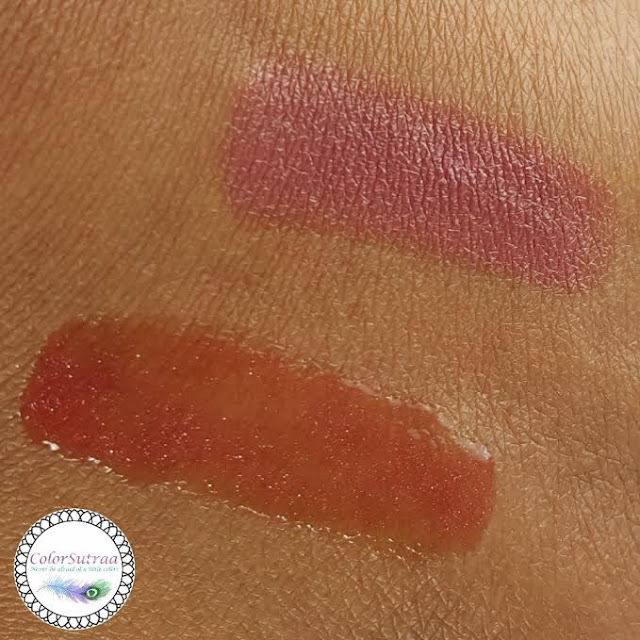 So, these are vegan, all-natural products that you can feel comfortable using, especially if you have sensitive skin or just want to know where you're really get your beauty products from. 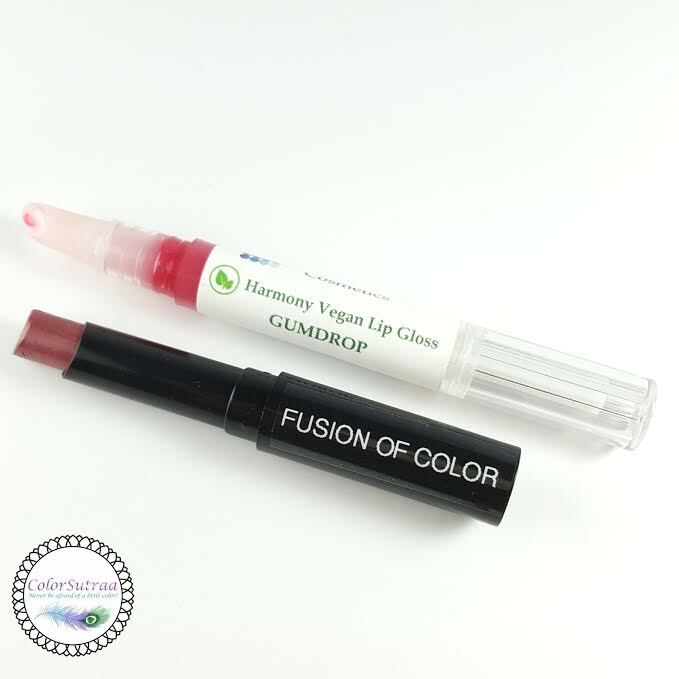 For today's review, I let Kathy of Fusion of Color Cosmetics choose for me--she knows I'm of East Indian origin, with a tan olive complexion and all I mentioned is that I love jewel tones for the eyes and berries/reds for the lips! With just that little bit of information, Kathy sent over some absolutely beautiful products for me to share with you all! 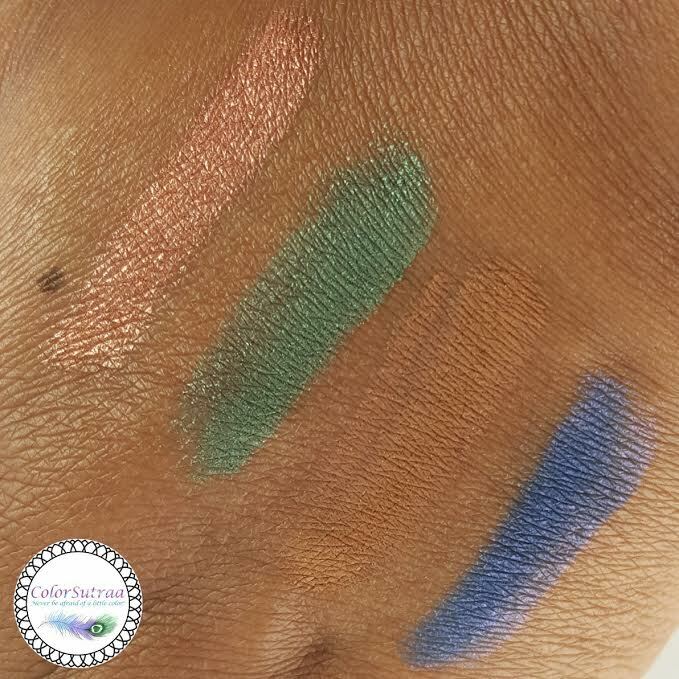 Now, these are loose pigments which means that just a little goes a long way--the swatches below show just a couple of swipes on the back of my hand. Just look at how pigmented these are! 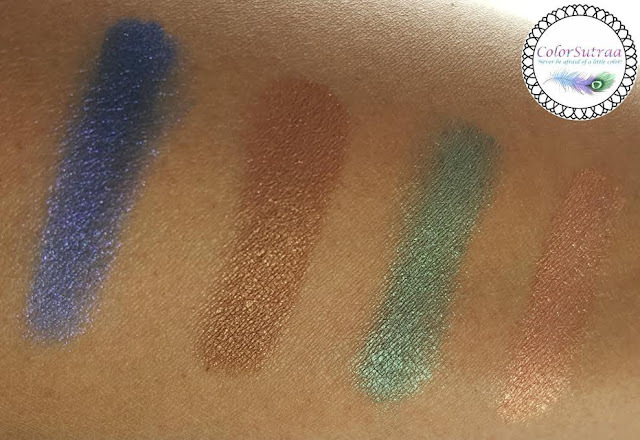 I'm so in love with both Regency and Sandstone--the shimmery shades just pop against my complexion, don't you think?! Plus I love a bold smokey eye for special occasions! 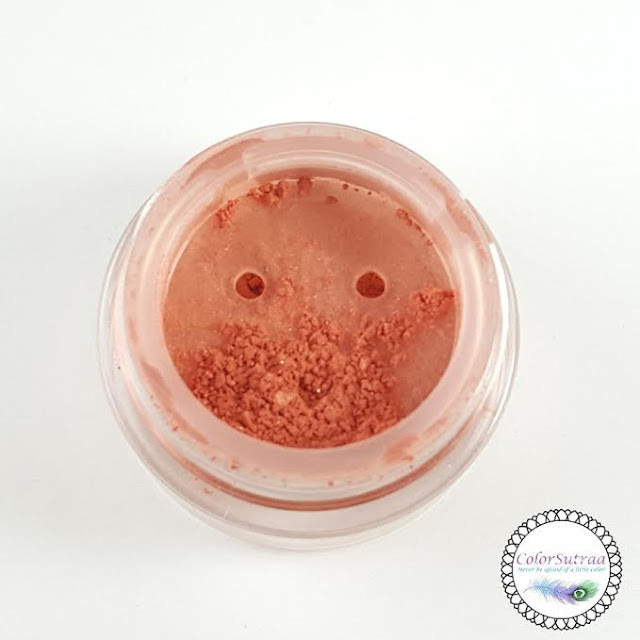 For blush, Kathy sent me Bewitched, described as a "Coral Pink Shimmer". 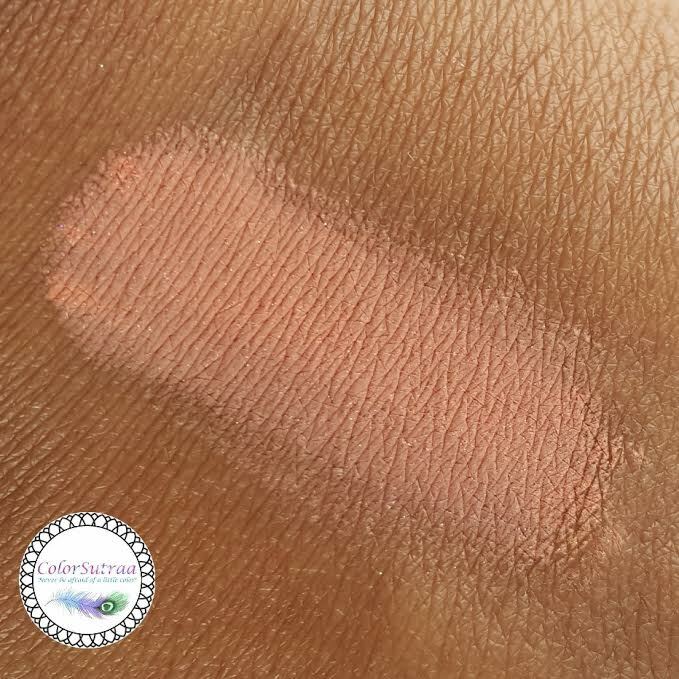 This shade looked more peachy pink on my complexion and would work great as a highlighter! Both these formulations are vegan and apply beautifully. 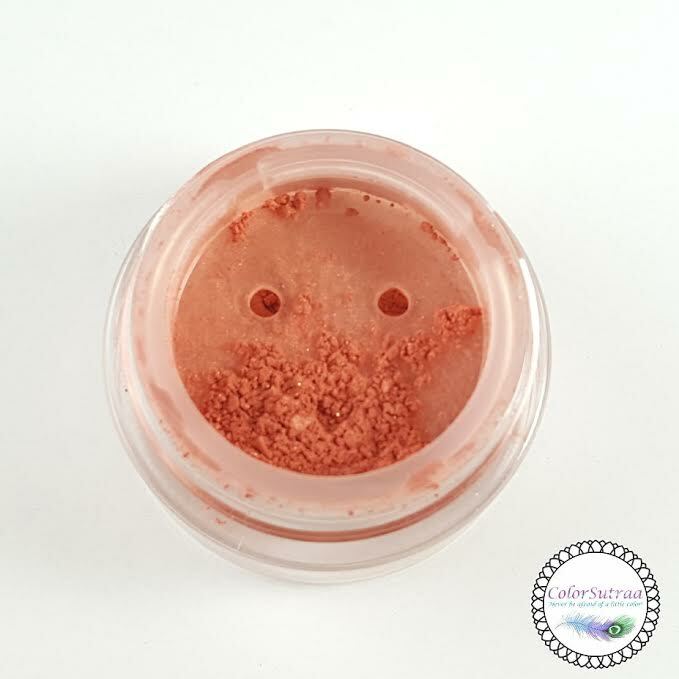 Choco Berry is such a perfect neutral shade, giving my complexion a hint of rosy, berry tint--perfect for the office or a more formal event. Gumdrop wore darker on my complexion, with the wine undertone really playing up. 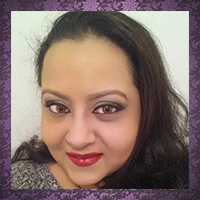 Again, this gloss applied smoothly, giving my lips a hint of color which could be built up as desired. Best part? The silver shimmer makes it really unique! So there you have it, my darlings! If you would like to check out Fusion of Color, you can find her HERE--prices are super affordable with everything well under $10. The eye shadows are lovely!